All the stats and milestones from the sixth week of IPL 2018. 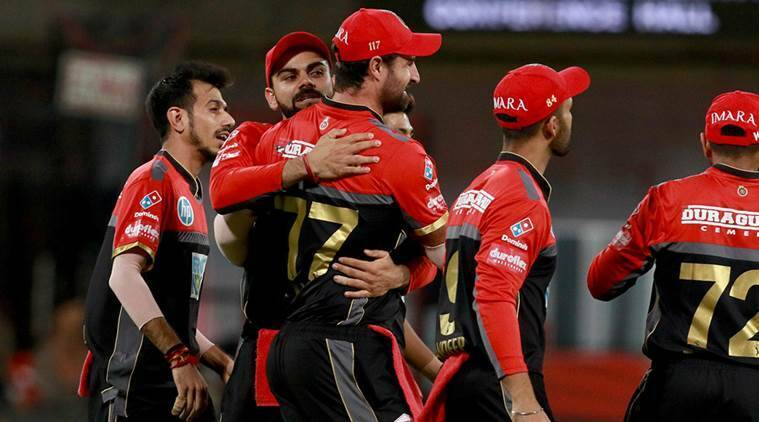 The 11th season of Indian Premier League commenced on Saturday, April 7 at the Wankhede Stadium in Mumbai where defending champions Mumbai Indians took on the returning Chennai Super Kings. And now IPL 2018 completed its sixth week and during this week, several records have been made and broken. 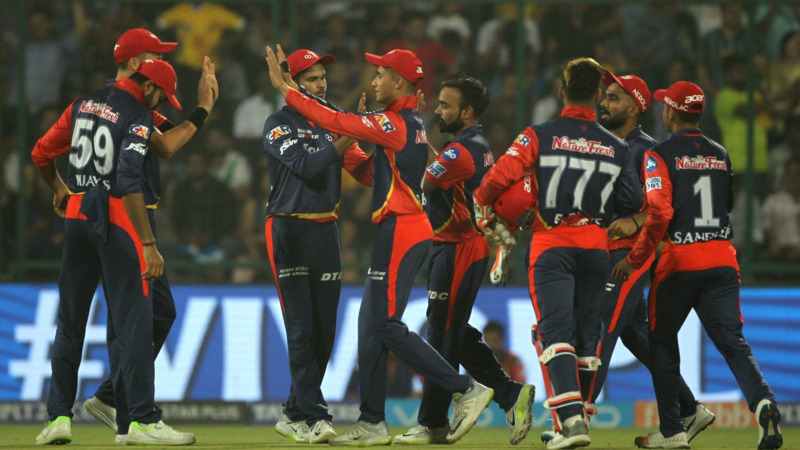 Sunrisers Hyderabad and Chennai Super Kings have qualified for the playoffs and Delhi Daredevils's campaign has ended, while rest of the teams are fighting with one another to qualify for the playoffs. - KKR's 31 runs win is the first ever win at the Holkar Cricket Stadium, Indore while batting first, all the previous 7 matches have been won by the team batting second. - Andrew Tye became the third bowler to take 4-fers in consecutive IPL matches after Shadab Jakati and Munaf Patel. - Kolkata Knight Riders have registered 15 wins against Kings XI Punjab - the most wins for KKR against a team in the IPL. - 245/6 is the Kolkata Knight Riders' highest ever total in the Indian Premier League history. 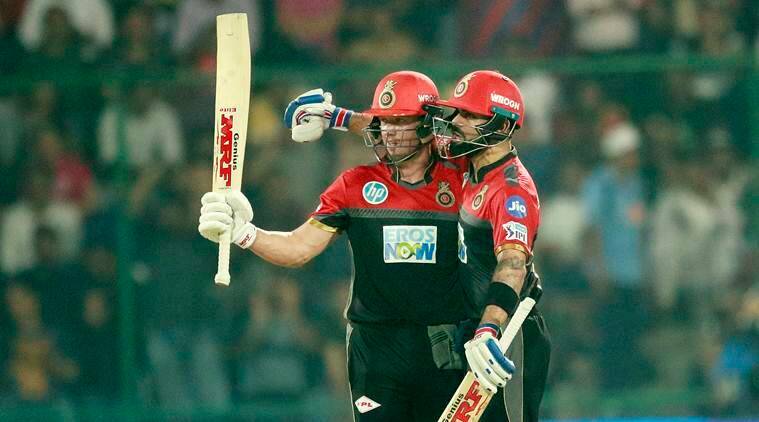 - Virat Kohli and AB de Villiers have put on 8-century stands in the Indian Premier League and this 118 runs stand is also their first-century stand since IPL 2016. - Sandeep Lamichhane at the age of 17 years and 283 days became the second youngest player to appear in an IPL match after Mujeeb ur Rahman (17 years and 11 days) against KXIP earlier this season. - Virat Kohli scored his fifty in 26 balls - the joint fastest for him in the IPL. He scored 26 balls fifty against Rajasthan Royals in Bangalore earlier this season. 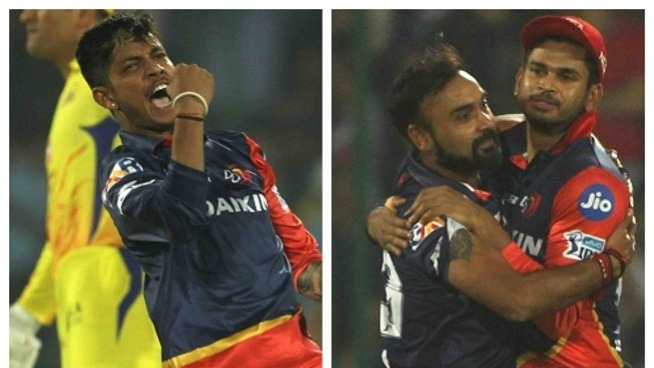 - Amit Mishra has bowled 1002 dot balls in the IPL - the fifth bowler to bowl 1000 dot balls in IPL after Harbhajan Singh, Piyush Chawla, Lasith Malinga and Praveen Kumar. - Sunrisers Hyderabad failed to defend a total for the first time in this IPL, before this match they successfully defended their total four times. 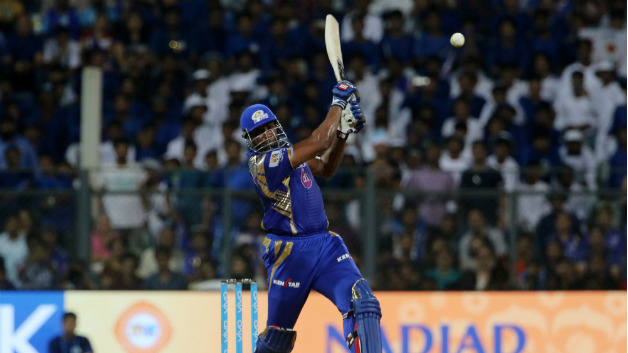 - Ambati Rayudu scored his maiden IPL hundred and 100 not out is also his highest score in T20s. - Shane Watson became the 4th overseas and overall 14th player to score 3000 IPL runs. - Jos Buttler became the second player to score fifty-plus scores in 5 consecutive innings in the IPL after Virender Sehwag. - Rajasthan Royals' 7 wickets win over Mumbai Indians is their second win over Mumbai Indians at the Wankhede Stadium, Mumbai and first since 2011. - Jos Buttler became the first English player to score 1000 runs in the Indian Premier League. - Royal Challengers Bangalore have registered three 10 wicket wins in the IPL - the most by a team in the IPL. Rest 8 other teams have one 10 wickets wins each. - Kings XI Punjab's 88 total is the second lowest total in IPL 2018 after Mumbai Indians's 87 against Sunrisers Hyderabad. - Four dismissals for Dinesh Karthik - the most for any wicketkeeper in a game in IPL 2018. - Best bowling figures for Kuldeep Yadav in the IPL and overall his second best bowling figures in T20 cricket. - Kuldeep Yadav's bowling figures of 4/20 are also the best bowling figures by a chinaman spinner (left arm wrist spinner) in the IPL. The previous best was 4/29 by Brad Hogg against CSK at Eden Gardens, Kolkata in IPL 2015. - Jos Buttler scored 28 runs in an over - the joint most runs scored in an over in IPL 2018. Shreyas Iyer also scored 28 runs and on both the occasions, the bowler was Shivam Mavi. - Two times KL Rahul has ended on the losing side despite scoring 90 plus in a chase - the only batsman to score two 90s in an unsuccessful chase. Earlier this season he scored 95* against RR and now 94 against MI. - 32 sixes hit by KL Rahul in IPL 2018 - the most by any player and he also became the third Indian to hit 30 or more sixes in an IPL season after Virat Kohli (38 sixes in 2016) and Rishabh Pant (31 sixes in 2018). - 482 runs scored by KL Rahul while batting second in IPL 2018 - the most by a batsman in second batting. He went past David Warner (468 runs in 2016). - Suryakumar Yadav became the first uncapped Indian batsman to score 500 runs in a single season of IPL. - Kane Williamson completed 1000 runs in just 28 innings in the IPL - the fifth fastest to achieve this milestone after Shaun Marsh (21), Lendl Simmons (23), Matthew Hayden (25) and Chris Gayle (27). - Basil Thampi conceded 70 runs in his fours spell - the most runs conceded by a bowler in an innings in the IPL history. - This was the 250th match of AB de Villiers's T20 career. He has scored 6596 runs at an average of 35.27 and at a strike rate of 147.89 in 250 T20 matches with 3 hundreds and 44 fifties. - Kane Williamson became the 10th player to score 600 or more runs in an IPL season after Virat Kohli, Chris Gayle, David Warner, AB de Villiers, Robin Uthappa, Shaun Marsh, Sachin Tendulkar, Michael Hussey and KL Rahul. - Ambati Rayudu (3001 runs) became the 11th Indian and overall 15th player to score 3000 runs in the IPL. - MS Dhoni (6007 runs) became the 5th Indian player to score 6000 runs in T20 format after Suresh Raina, Virat Kohli, Rohit Sharma and Gautam Gambhir.